We'd noticed Willie Smith's Cider House and Apple Shed several times as we drove through Huonville since our arrival on January 16th. After researching online, we were determined to visit The Apple Shed as soon as possible. As all of our readers are aware, we take great pleasure in sharing stories of local businesses in many parts of the globe as we continue on our year's long worldwide journey. 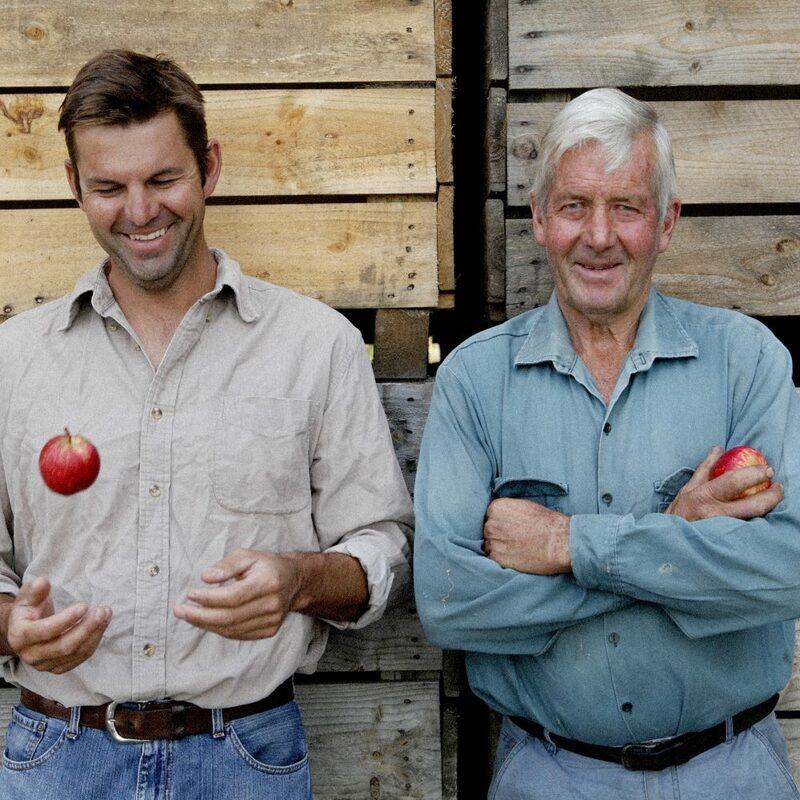 Andrew and Ian Smith, father and son and innovative owners/managers of Willie Smith Organic Apple Cider and Apple Shed, including restaurant, cider shop and museum. (Not our photo). The outdoor bar and dining area at the Apple Shed. Today's story goes well beyond the scope of a typical apple farm, shipping their apples regionally and to various parts of the world for commercial and retail processing and sales. Although we weren't able to wander through the apple and cherry orchards in order to maintain the integrity and health of the organic crop, we were able to ascertain the quality of the product by visiting this special site. (Yes, Willie Smith's also grows cherries, a treasured commodity in Tasmania and throughout the world). A tremendous boon and unique aspect to cider making is a result of Willie Smith's Organic Apple Cider's dedication and emphasis on organic farming. With a history reaching back to 1888's when Willie Smith and his wife Elsie, planted their first apple tree, the orchard was born. Passionate about farming and in awe of the pristine air and water in the Huon Valley of Tasmania from there, four generations of Smith's continued in the pursuit of creating the finest apples and apple products in the land. Current menus in The Apple Shed where we'll dine next month. Many products are offered for sale in the shop including apple cider, apple and cherry based products, a wide array of condiments and teas. 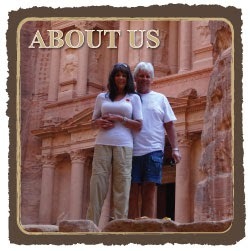 The shop is perfect for purchasing gifts for all occasions. Photo of Andrew's great grandfather Willie Smith, attached to a pallet of apples in cardboard, appropriate for shipping. The Apple Shed was built in 1942 with the intention of providing local farmers, growers and makers the ability to highlight their finest of products. In creating this unique space, a piece of the passionate labor of the finest of farmers and purveyors is integrated into the Apple Shed's offerings. Scene in the Willie Smith's Apple Shed Museum where we met with owner Andrew Smith for an interesting and informative discussion. The distillery is another element of Willie Smith's that bring visitors from all over the world. Incorporating quality organic apples into cider and spirit making (alcoholic beverage) is not as common as one may assume. Few farmers are willing to spend the time, effort and expenditure required to support an organic operation. "We choose organic because we believe that making things the traditional way, with more care and less of the artificial bad stuff, is better for you and better for Tassie. Most of all, organic produce just makes us feel good!" Antique apple hauling truck located in the museum. Not only does the fine facility focus on the quality of its organic apples, another emphasis is on the diverse locally grown menu items offered in The Apple Shed for the consumer seeking delicious meals of locally grown products prepared with the utmost of care. Apple varieties on display in The Apple Shed. In addition, recently Willie Smith's has begun the operation of their distillery their for the production of high quality organic apple brandy and spirits. "Our still was commissioned in April 2016 and is located at Willie Smith’s Apple Shed. It is the first alembic copper still in Australia purpose-built for making apple brandy. We think being able to produce apple spirits from the ‘Apple Isle’ is a welcome addition to the already very exciting Tasmanian distilling scene." Beautiful display of the copper distillery equipment. As a brandy and cognac fan, most certainly Tom will try the brandy when we return on February 17th for our dinner. Although, based on my restricted diet, I won't be able to enjoy the cider or spirits (due to sugar content), I can fully embrace the concept of the care given to create these superior products. Upon entering The Apple Shed yesterday around lunchtime, we were warmly greeted by Daniel a server behind the bar. We inquired as to the availability of a manger or owner who could share details with us about the operation. Andrew explained that William and Elsie Smith were his great grandparents as shown on this sign in the museum. Zoom in for details. Having seen their comprehensive and well done website before heading out, we knew we'd be in for a treat should we actually be able to meet with an owner. We were in luck when Andrew Smith, fourth generation owner, joined us in the museum to enrich our story with some of the details we excitedly share today. A variety of apple processing tools. Grab a case or bottle of apple cider to go! The fascinating display of antique apple processing equipment warrant a visit to the Apple Shed Museum, home of Willie Smith's cider, along with the opportunity for a fine meal and perusal of the shop. From The Apple Shed, to its restaurant, the regional and international shipping operation, the outstanding transition to organic farming and the careful thought exercised in developing and maintaining the history in its superlative museum, nothing was spared in this facility. Cider display where the customer can purchase a glass bottles to return for refills. Excellent idea! Rather than attempt to duplicate all the information presented in their exceptional website, we encourage our readers to take a peek at their website by clicking here. An antique hand cranked apple processing machine. No chemicals are used in the today's organic farming of apples and cherries on Willie Smith's farm. Next time you're in Tasmania make a point of visiting Willie Smith's Organic Apple Cider complex, dine in The Apple Shed, tour the museum and take home a bottle of what we have no doubt is the finest apple cider and spirits in the land. The lunch crowd had cleared out enabling us to shoot this photo of the casual dining area. We were so excited by the facility and the menu, we made a reservation to return on Friday, February 17th. On Friday nights, the Apple Shed has live music and menu specials. We look forward to participating in the activities! Next time you bite into a cold crispy apple, think of Willie Smith! Thanks for stopping by today and we look forward to "seeing you" again tomorrow! Cherries are also farmed at Willie Smith's farm and both apple and cheery products are available along with many other products. It had rained for the first several days after we arrived in New Plymouth, New Zealand. Upon the first sunny day, we stumbled upon this view. We were both mesmerized by the beauty of Mount Taranaki. (We were located in the Taranaki region of New Zealand). The trek up this mountain may be dangerous, which we'd heard aboard the ship, as per this link.